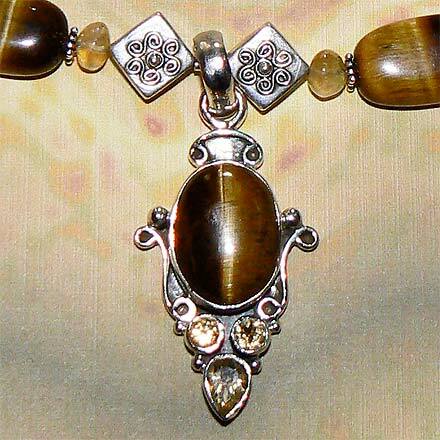 Sterling Silver Golden Tiger Eye and Citrine Necklace. See Closeup. 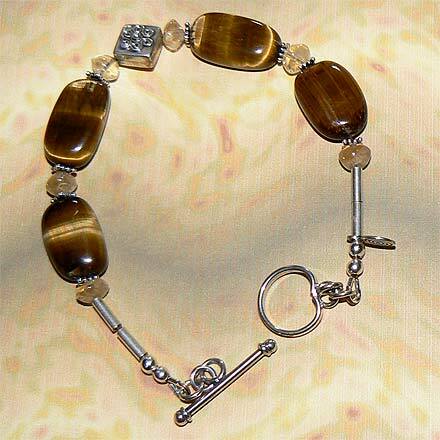 Sterling Silver Golden Tiger Eye and Citrine Bracelet. Who can resist these big oval beads of satiny gold? When I first saw Tiger Eye--probably in a gift shop in Colorado when I was a kid--I didn't think it was real, but it is. It is a member of the quartz group. 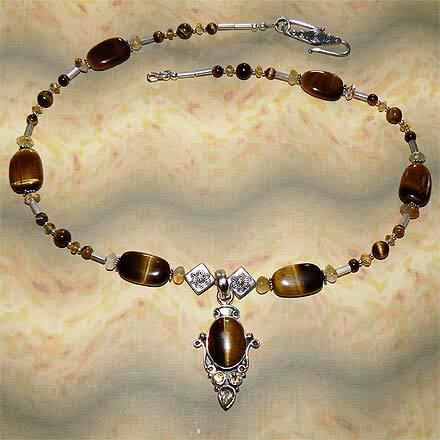 In this jewelry set, the Tiger Eye is accented with Golden Citrine. For those who are interested in Astrological significances of stones, Tiger Eye corresponds with Capricorn and Citrine is November's birthstone.